In the recent issue of Imponderabilia Heid Jerstad criticizes the lack of anthropological research on climate change. Climate change is only present on the margins of anthropological research, Jerstad claims. A similar critique was formulated by Simon Batterbury in his article Anthropology and global warming: the need for environmental engagement. By mitigation, we mean reducing the sources of greenhouse effect. By adaption, we mean recognising that climate change is happening and then work out a programme to reduce the social vulnerability of those affected. We have to empower the people to take the future in their own hands. 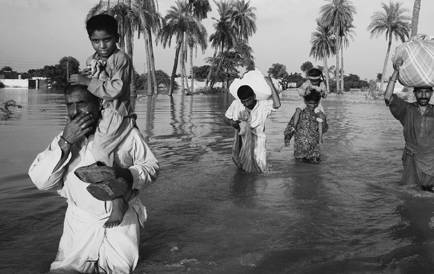 In countries affected by climate change most, their people’s capacity to adapt must be built up. Fight global warming ‘with traditional methods’, urged Pietro Laureano. architect, town planer and anthropologist. Traditional water management methods from the Sahara and Ethiopia and Iraq’s Babylon area could be used alongside newer technologies such as solar power to prevent desertification and energy wastage. See also interview with Laureano and his paper Traditional Techniques of Water Management a New Model for a Sustainable Town and Landscape. From the First Water Harvesting Surfaces to Paleolithic Hydraulic Labyrinths. For as Linda Connor says, climate change is a cultural crisis, - an aspect that in her opinion is ignored in much of the technical, economic and political talk of policies and solutions. A few weeks ago, Susan Crate’s research on climate change in Siberia was presented. On her website lots of papers can be downloaded, for example the most recent one Bull of Winter? Grappling with the Cultural Implications of and Anthropology’s Role(s) in Global Climate Change (pdf). Together with Marc Nuttall, she edited the book Anthropology and Climate Change. From Encounters to Actions. See also interview with Nuttall on CBC News “Human face of climate change: Weather out of its mind”. At the University of Copenhagen, anthropologist Kirsten Hastrup is the leader of the interdisciplinary climate change research project Waterworlds. In an interview, she explains the relevance of historical anthropology for today’s climate change. See also Climate Change and Small Island Developing States: A Critical Review by Ilan Kelman and Jennifer J. West (Ecological and Environmental Anthropology, Vol 5, No 1 (2009)) and Waterworld1: the heritage dimensions of ‘climate change’ in the Pacific by Rosita Henry and William Jeffery as well as information about climate refugees and my earlier post Why Siberian nomads cope so well with climate change. 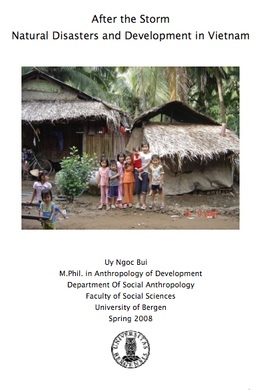 For even more literature see Bibliography for the anthropology of climate change. The tundra ecosystems in Siberia are vulnerable to both climate change and oil/gass drilling. Yet the Yamal-Nenets in West Siberia have shown remarkable resilience to these changes. “Free access to open space has been the key for success” says Bruce Forbes of the University of Lapland, Finland, Environmental Research Web reports. Forbes and five colleagues from various disciplines (including anthropology) at the University of Joensuu, Finland, the Russian Academy of Sciences and the University of Cambridge, UK, have studied the Yamal-Nenets for more than four years. The research should not only help with plans for the Nenets’ future survival but could also offer tips for other communities. The ability to roam freely enables people and animals to exploit or avoid a wide range of natural and manmade habitats. The Nenets responded to their changing environment by adjusting their migration routes and timing, avoiding disturbed and degraded areas, and developing new economic practices and social interaction, for example by trading with workers who have moved into gas villages in the area. “Our work shows that local people have an important role to play, one that is every bit as useful and informative as that of the scientists and administrators charged with managing complex social-ecological systems", Forbes says. Around half of the Yamal Peninsula’s 10,000 Nenet people are herding reindeers. Average temperatures in the region have increased by 1–2 °C over the past 30 years. The area contains some of the largest known untapped gas deposits in the world. Their findings were published as open access article in the Proceedings of the National Academy of Sciences, see High resilience in the Yamal-Nenets social–ecological system, West Siberian Arctic, Russia. Climate Change: When is the Arctic no longer the Arctic? 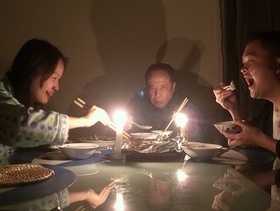 I have to confess I have an ambivalent relation to initiatives like the Earth Hour. But anthropologist Stephen Bede Scharper casts an interesting perspective on this new way to save our planet. 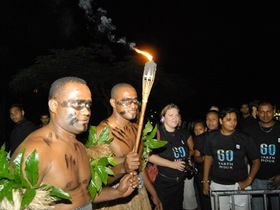 Earth Hour combines a spiritual quest, a moral mandate and a communal practice into a unique and truly global event. It can thus be considered a transcultural action of moral responsibility for the planet, a statement that “another world is possible.” It is not driven by brands, consumerism or corporate logos. Earth Hour is not Coca-Cola teaching “the world to sing in perfect harmony,” nor Nike telling us to “Just Do It.” It is, rather, approximately one billion people entering the threshold of a different relationship with both the planet and the cosmos. 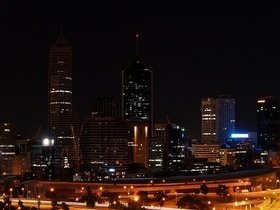 The pictures are from Melbourne (by avlxyz), Perth (by earthhour_global) and Fiji (by earthhour_global) - found via a flickr search for Earth Hour. The myth of the “untouched” Amazone is popular. But areas that look pristine today have been the home of large urban areas, anthropologist Michael Heckenberger has found out already five years ago. In a new paper that was published today in Science he writes that these settlements might be a model for the future. If we look at your average medieval town or your average Greek polis, most are about the scale of those we find in this part of the Amazon. Only the ones we find are much more complicated in terms of their planning. These are not cities, but this is urbanism, built around towns. The findings are important because they contradict long-held stereotypes about early Western versus early New World settlements that rest on the idea that “if you find it in Europe, it’s a city. If you find it somewhere else, it has to be something else. They have quite remarkable planning and self-organization, more so than many classical examples of what people would call urbanism. This new knowledge could change how conservationists approach preserving the remains of forest so heavily cleared it is the world’s largest soybean producing area. “This throws a wrench in all the models suggesting we are looking at primordial biodiversity,” Heckenberger says. Long ago, Howard proposed a model for lower-density urban development, a “garden city,” designed to promote sustainable urban growth. The model proposed networks of small and well-planned towns, a “green belt” of agricultural and forest land, and a subtle gradient between urban and rural areas. The pre-Columbian polities of the Upper Xingu developed such a system, uniquely adapted to the forested environments of the southern Amazon. The Upper Xingu is one of the largest contiguous tracts of transitional forest in the southern Amazon [the so-called “arc of deforestation"], our findings emphasize that understanding long-term change in human-natural systems has critical implications for questions of biodiversity, ecological resilience, and sustainability. Local semi-intensive land use provides “home-grown” strategies of resource management that merit consideration in current models and applications of imported technologies, including restoration of tropical forest areas. This is particularly important in indigenous areas, which constitute over 20% of the Brazilian Amazon and “are currently the most important barrier to deforestation". Finally, the recognition of complex social formations, such as those of the Upper Xingu, emphasizes the need to recognize the histories, cultural rights, and concerns of indigenous peoples—the original architects and contemporary stewards of these anthropogenic landscapes—in discussions of Amazonian futures. Tropical Stonehenge found in the rainforest? Why so surprised over the “finding” that the early inhabitants in the rainforest were “sophisticated” people?